Minnesotans love their craft beer. With more than 100 breweries in the state, our need for smoky stouts, pale ales and beers infused with native prairie grasses, raspberries, coffee and more fill up our taprooms and our palates. While one of Minnesota’s mainstays is August Schell Brewing Co.-the second oldest family-owned brewery in the United States (the founder also helped found the town of New Ulm, Minnesota)-breweries such as Surly Brewing Co., IndeedBrewing Co., Fulton Brewing Co., Urban Growler, and Bent Brewstillery also provide a bounty of options. After all, when you use craft beer in cooking, the flavor profile is the most important thing to keep in mind. Even though craft beer has less alcohol by volume than wine-5.9 ABV on average versus the typical 13.6 of wine-anywhere from 5-50 percent of it can remain depending on the way you prepare it in the food. You can do a lot with craft beer, too: braises, salad dressing, marinades for grilled meat, fondues, poached sausages, glazes and even breads and cakes can all have new flavor profiles because of the craft beer you choose to add. As beer cooks, the bitter aspects of its flavor profile increase. Added sugar and honey can help balance out the flavor, but in general, avoid beers that taste strongly of hops or bitterness right out of the bottle. On a similar note, beer flavor gets stronger as it cooks, so make sure you pick a beer that has a flavor you enjoy. When pairing craft beer with meats, match light beers with light meats and dark beers with red meats. For instance, pair a blonde style ale with chicken and a porter or stout with beef. Take advantage of seasonal beers. Right now plenty of beers have notes of pumpkin, nutmeg, cinnamon and more that can add a layer of homey fall flavor to any recipe. Craft beer can make the perfect poaching liquid for sausages to enrich the taste and decrease the cooking time. It can put a beer-soaked twist on the dried fruit in ice cream flavors, or when added straight to the ice cream batter, it can make the texture more like that of soft-serve. While some people turn to apple cider or pumpkin pie during the fall, we prefer to turn to a hearty stew like the one featured below. 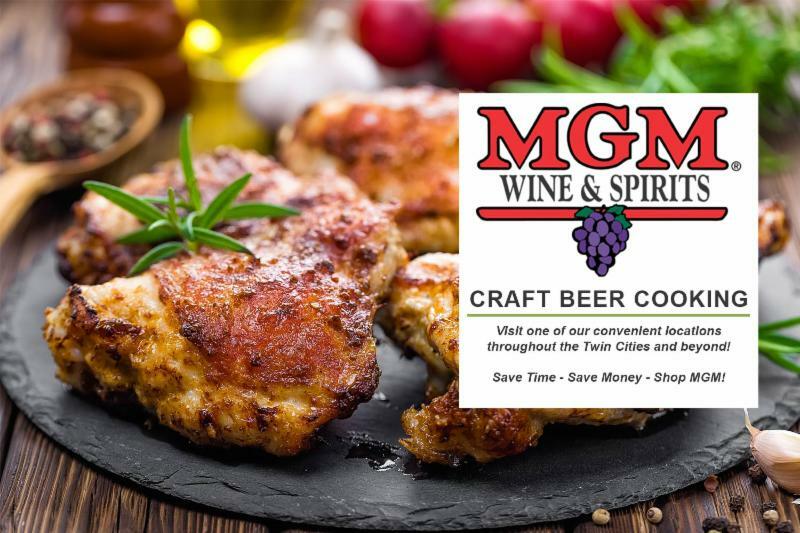 We know it’s impossible to pay homage to all of your favorite Minnesota craft beers, but now you have a whole new way to enjoy them-bon appetit! While Minnesota legalized homebrewing in 1985, it wasn’t until 2011 that, thanks to a huge push from Surly Brewing Co., Minnesota brewers could sell craft beer in their breweries. 2. Heat a large heavy pot (with a lid) over medium-high heat and melt the butter. Add the lardons and cook them until crisp. 3. While lardons are cooking, in a large bowl mix the mustard, brown sugar and beef stock. Set aside. 4. Turn the heat down to medium-low and add the onions. Stir well and cook until translucent. Add the dried thyme and ground allspice and mix them with the onions and lardons. 5. Add the beef cubes and turn them around a few times to be sure they sear on all sides (don’t overdo it). Dust the flour over the meat and stir. Add the beef stock, mustard and brown sugar mixture and stir. Add the beer and stir again. Turn up the heat and bring to a boil. 6. Add the bay leaves, salt and pepper, give a final stir and cover with the pot lid. 7. Put the covered pot in the oven and cook for 3 hours. 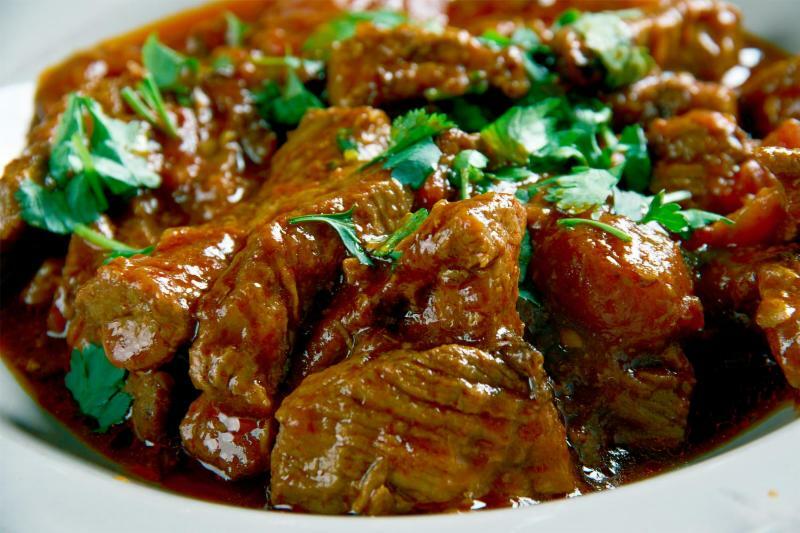 Check to see if the meat is fork tender-it should be-but if needed, cook an additional 30 minutes.